Want to integrate STEM into your Preschool or Kindergarten? Our free email course will help you get started. 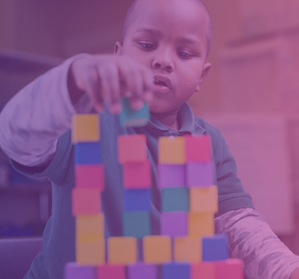 Our introductory course, Early Childhood STEM: Building the Foundation, was designed to work into your busy schedule, allowing you to learn at your own pace. In this course we provide an overview of STEM in early childhood: what it is, how kids learn it, and how STEM benefits your youngest learners. If you want to help your students become confident STEM learners, it’s easier than you think to start early. What do the letters stand for? What’s the difference between science and technology? You’ll walk away feeling confident in your STEM know-how. How can STEM support early childhood development? The early childhood years are critical for social emotional learning, fine motor development, and executive functioning. Find out how STEM activities can help you foster these skills. Spark a lifelong passion, inspire new career aspirations, and open doors for children. Find out what’s possible when you introduce STEM early. How can kids engineer before they can spell it? Young children are curious, natural problem solvers. Learn how young children engineer and support their learning before stereotypes about “who can engineer” take hold. This course was specifically designed for early childhood educators to learn more about the benefits of early childhood STEM. The purpose of the course is to make implementing and teaching STEM in early childhood less daunting to those educators that have no prior experience. Anyone who wants to learn about early childhood stem can find something useful in this engaging free course. Share this course with your staff or peers! Each lesson requires no more than 30 minutes. We provide a study workbook and additional resources. At the end of each lesson, you will complete a short assessment. After completion of the course, you will receive an additional email with a certificate.